The Heroku integration in Prisma Cloud can be used to quickly spin up a Prisma server through the Prisma Cloud Console. When using the Heroku integration for that, the Management API secret is auto-generated by Prisma Cloud. 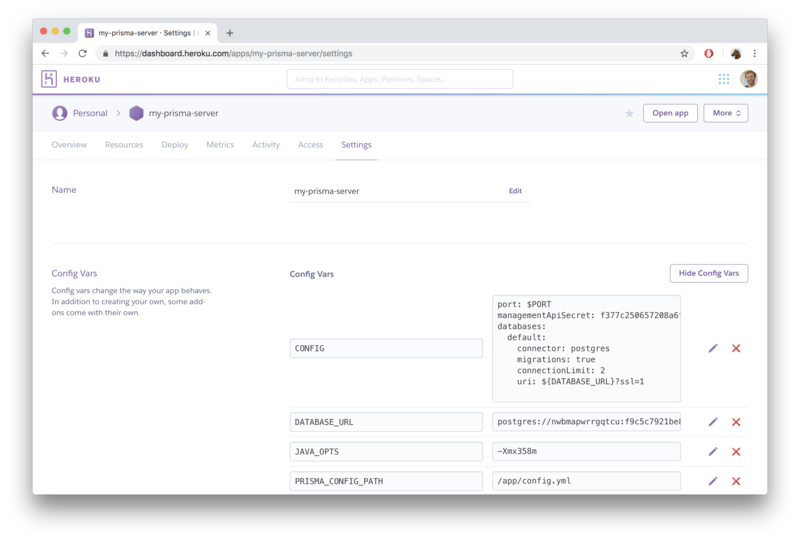 In your personal application overview, select the Heroku instance what was deployed through Prisma Cloud and runs the Prisma server. Click on Reveal Config Vars. Change value of the managementApiSecret property in the CONFIG variable.